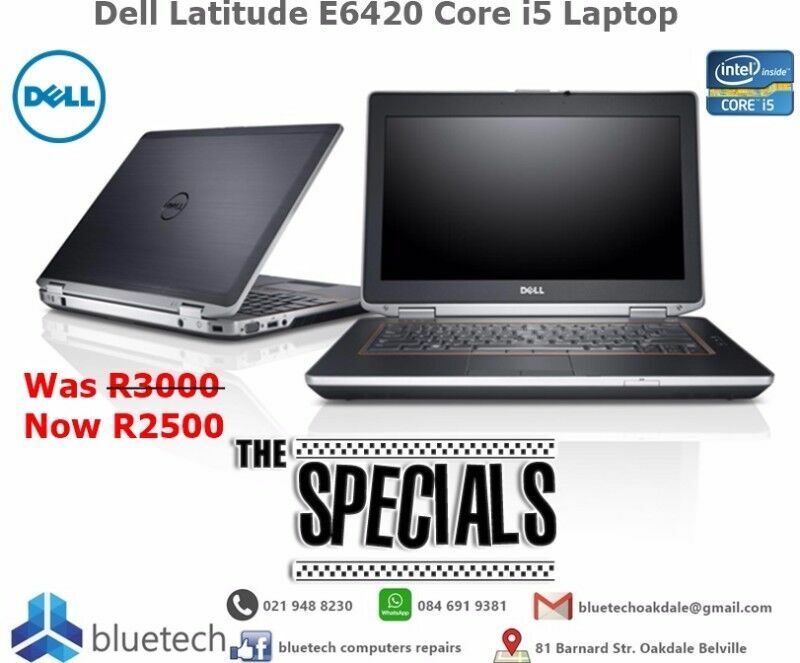 Hi, I’m interested in Dell Latitude E6420 Laptop. Please contact me. Thanks! 14.0-inch LED glossy 720p display (1366×768) screen. The best Windows ever meets the best Dell ever. The result? Power player: Web pages, games and apps fire up fast with up to 6th Gen Intel® Core™ processors thanks to premium performance and stunning visuals. Optional graphics: With available AMD discrete graphics, it’s simple to handle intense photo- or video-editing without slowing down performance. Scammers and time wasters please stay away, i know all your tricks. Must see before buying, will not ship item. Machines are brand new, Boxes were damaged in transport. You get the laptop, charger and all Booklets for this laptop. Software: Windows 10, Office Professional Plus 2016, Avast Internet Security, Adobe Acrobat Reader, Mozilla Firefox, Opera Internet Explorer, Skype, VIc Media Player, K-Lite codec Pack — Latest. Machines were behind glass, Never switched on. Clients never touched them! Immaculate Condition. Only 8 Up for Grabs. Software: Windows 10 Professional, Office Professional Plus 2016, Avast Internet Security, Adobe Acrobat Reader, Mozilla Firefox, Opera Internet Explorer, Skype, VIc Media Player, K-Lite codec Pack — Latest.